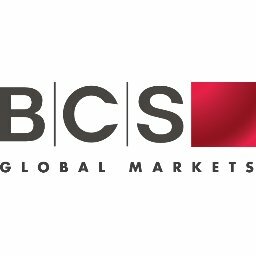 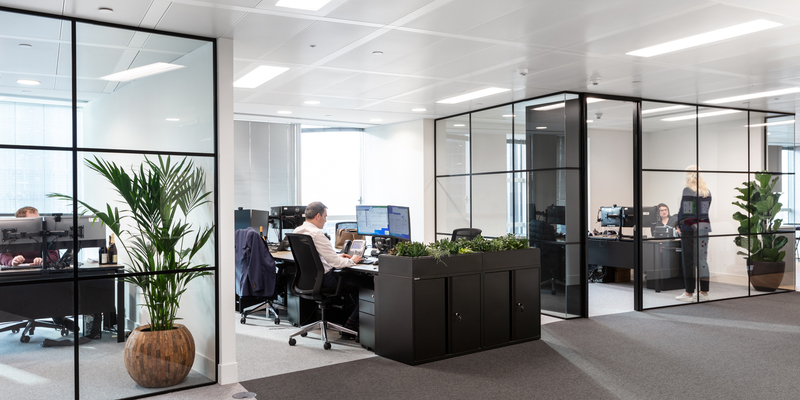 Having relocated to a bigger space that had the flexibility to grow with the company, BCS Global appointed ThirdWay to work with them in creating a modern and refined design for their new office. 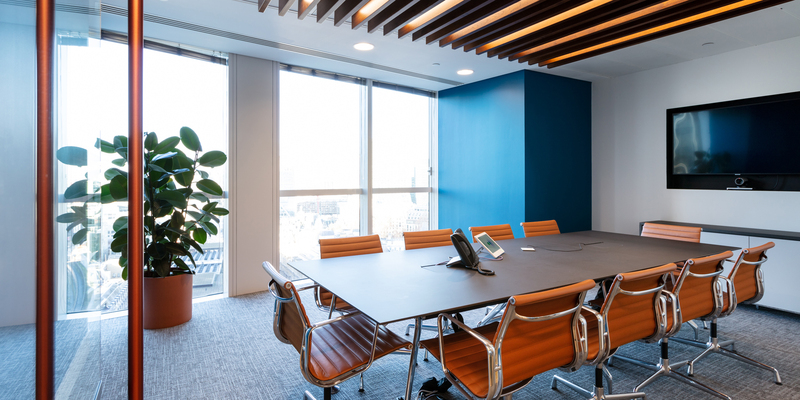 Classic, quality materials and sleek furnishings create a contemporary corporate feel, and subtle colours and materials help to define different facets of the business. 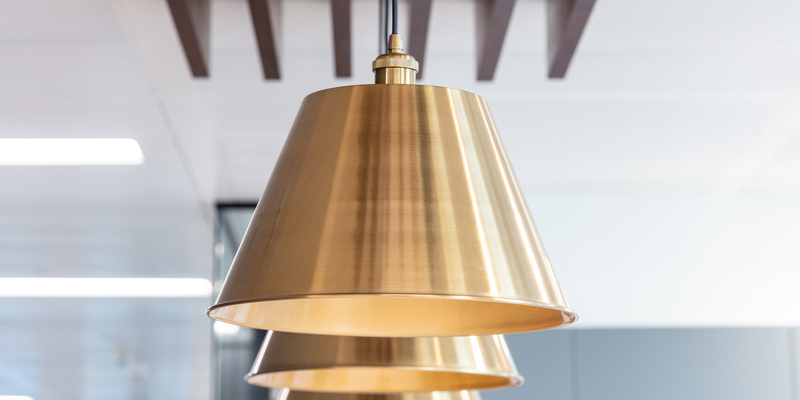 A bespoke joinery feature in the main reception and ceiling rafts in the main boardroom and kitchen area give the space a unique, welcoming and stylish elegance. 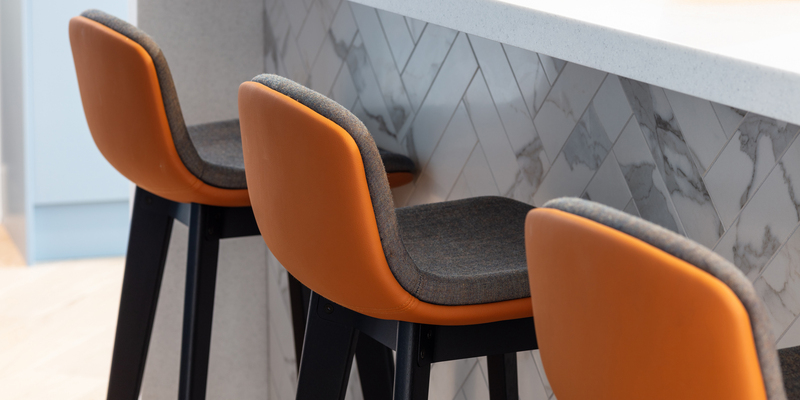 The furniture, provided by Tribe, explores contrasting tones of the same materials creating interest whilst retaining a sophisticated and professional style. 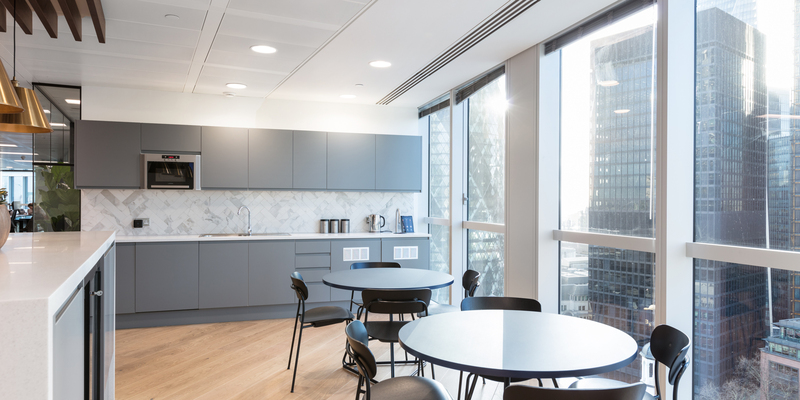 Key Features: Corian signage in the reception area, bespoke joinery in the reception area and meeting suite ceiling, herringbone tiled tea point/staff kitchen area, black metal Crittall windows, technical set-up of 50 person trading floor.